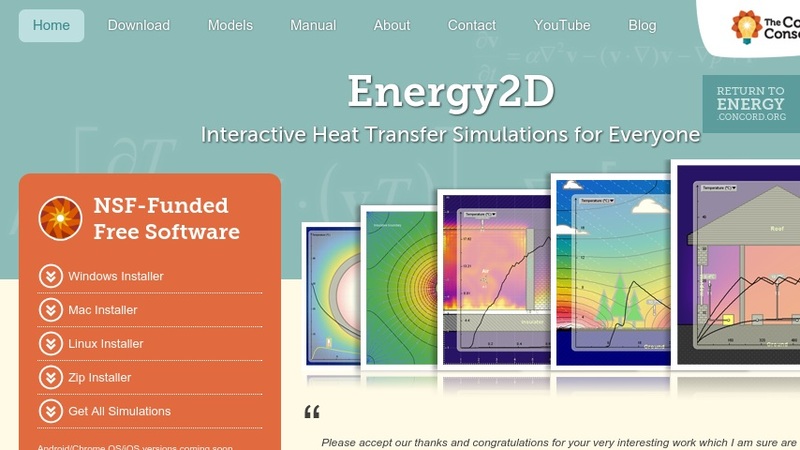 This free, open source simulation tool, the outgrowth of physics education research, was developed as a means for students to visualize the underlying concepts necessary to approach and solve heat transfer problems. The program models all three mechanisms of heat transfer-conduction, convection, and radiation. The Energy2D package models only two-dimensional systems, thus is not intended to replicate commercial engineering software used in many university settings. Rather, it was constructed to allow for rapid experimentation through use of dynamic graphics that users can easily manipulate and comprehend. This item is part of the Concord Consortium, a nonprofit research and development organization dedicated to transforming education through technology.